Did you hear the one about the guy who found money in a pile of canine crap? A St. Louis worker found $58 — packed in dog poop. 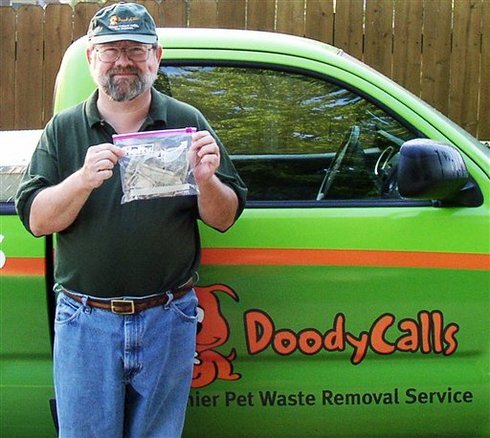 Steve Wilson works for DoodyCalls Pet Waste Removal. On a recent call, he noticed money sticking out from doggie doo. Wilson wasn’t sure what to do, but eventually pulled out the bills, sanitized them, placed them in a plastic zip-locked bag and returned them to the customer. It turned out to be $58. The company said the money was torn, but the serial numbers were identifiable, which means the bills could be returned to a bank and replaced with new money.